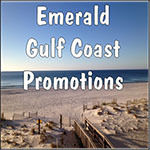 Advertising for Apalachicola Bay , & surrounding areas! Apalachicola Bay is an estuary and lagoon located on Florida's northwest coast renowned for its oysters. The Apalachicola Bay system also includes St. Georges Sound, St. Vincent Sound and East Bay, covering an area of about 208 square miles (540 km2). Four islands St. Vincent Island to the west, Cape St. George Island and St. George Island to the south, and Dog Island to the east separate the system from the Gulf of Mexico. Water exchange occurs through Indian Pass, West Pass, East Pass and the Duer Channel. The lagoon has been designated as a National Estuarine Research Reserve and the Apalachicola River is the largest source of freshwater to the estuary. Combined with the Chattahoochee River, Flint River, and Ochlockonee River they drain a watershed of over 20,000 square miles (50,000 km2) at a rate of 19,599 cubic feet (550 m3) per second according to the United States Geological Survey in 2002. The region features 1,162 species of plants, and includes the largest natural stand of tupelo trees in the world. The area is also home to 308 species of birds, 186 species of fish, 57 species of mammals, and boasts the highest species density of amphibians and reptiles in all of North America, north of Mexico stated by the Apalachicola Reserve, 2002. Apalachicola Bay is part of The National Estuarine Research Reserve System. Apalachicola, Eastpoint & Carrabelle are three cities that border the Bay on the mainland side.